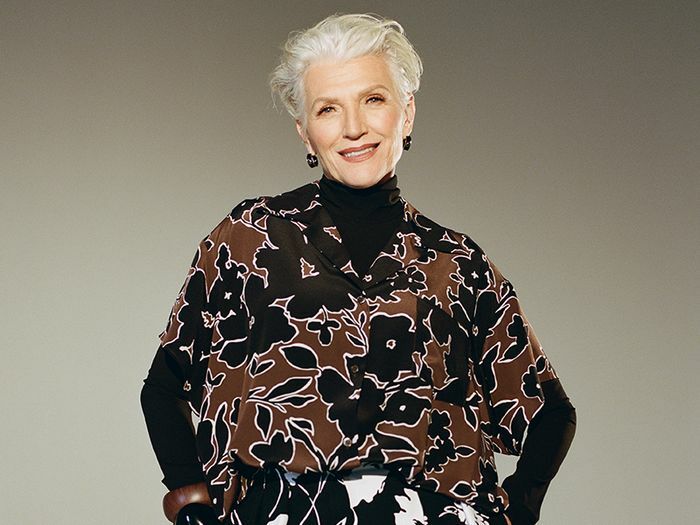 I don’t find myself googling “average retirement age” every day, but after speaking with Maye Musk during our "Fashion Firsts" video and shoot highlighting some of our favorite pieces of the season, it occurred to me that I really didn't know exactly when people are supposed to stop working and take life a bit easier (at least, according to the stereotype). That topic hasn’t seemed to occur to Musk either. At 69-years-old, a few years above the average retirement age (around 65—thank you, internet! ), she became an official Covergirl. And maybe the only thing more exciting than that is turning 70. Earlier this past fall, the major cosmetics brand selected Musk, a dietitian and nutritionist with a 50-year career in modeling, to be its new face. It’s an honor that could skyrocket any young model’s or actress’s name. And the same goes for the industry vet, mother of three (including son Elon, the CEO and co-founder of Tesla), and grandmother of six. “I’ve done many grandmother ads since I was 42,” she notes, remarking on her career—clearly also nodding to an industry that tends to favor youth above all. In an effort not to pigeon-hole our conversation, I ask her outright if she gets tired about talking her age. “It is unusual for a 69-year-old model or woman to be a Covergirl, so I’m quite happy with that. I’ll be 70 in April, and then I’m going to take off. 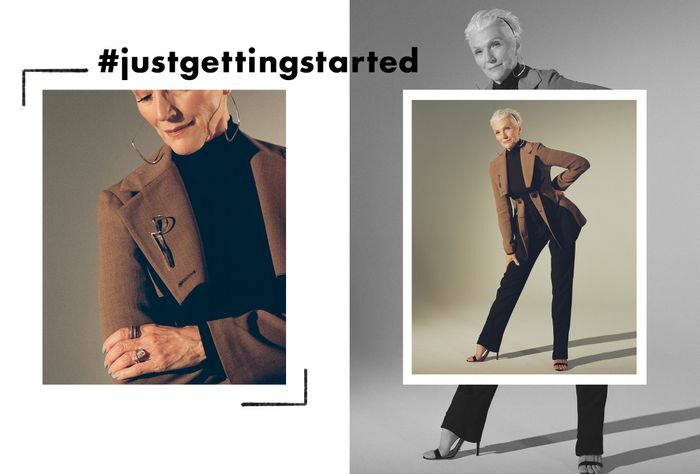 I think my 70s are going to be amazing.” This big appetite for what comes next isn’t just Musk’s attitude toward her future; it’s also a hashtag that she puts on nearly every post on her Instagram account to capture to spirit of where she’s at right now: #justgettingstarted. Musk says she’s enjoying all the glamourous parts of her new success right now, but she’s also ready to take on whatever new challenges come next. And considering she’s #justgettingstarted, she has big goals in mind. “As a dietitian, I want to continue traveling around the world because I love different cultures and I’d love to explore that. And as a model, I would like some of the bigger designers to want an older model.” With a new fashion month right around the corner, and an industry that still has huge strides to make in inclusivity, one can only hope they hear Musk’s message, too.